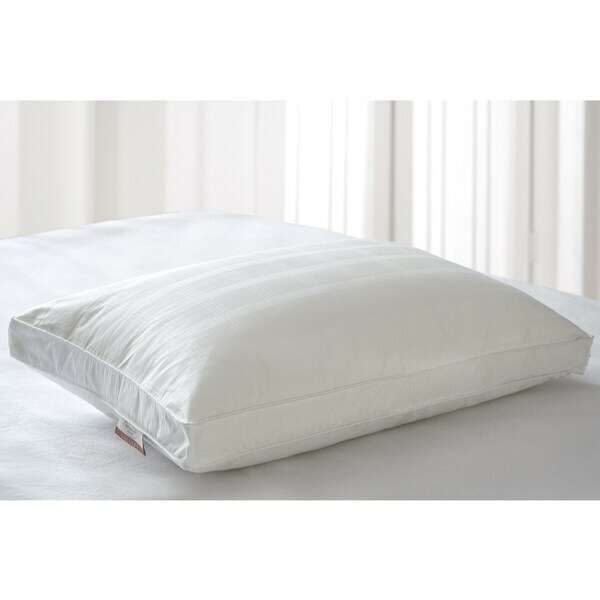 Revel in the luxury of this 600 thread count cotton damask windowpane European white goose down pillow, with a fabulously hardy two-inch gusseted sidewall. The outer cotton cover is removable, which makes it easy to clean, and its durable design results in a long-lasting life of superior performance. "What is the fill power for this pillow?"